The Tech Founders Summit is an informational and inspirational event forexisting or aspiring entrepreneurs in the technology, engineering, or software field. The event will feature panel-discussions featuring some of the top tech business people in the county. Please see the poster below for more information. 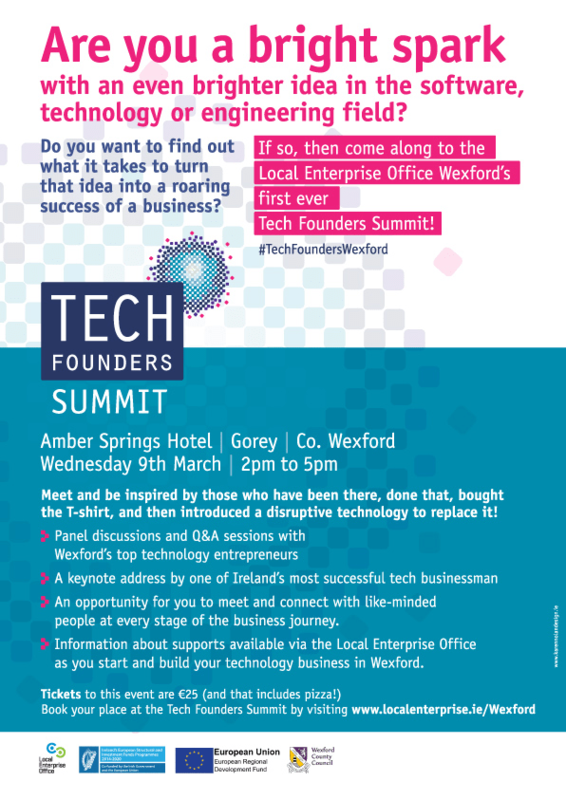 The event takes place in the Amber Springs Hotel, Gorey on 9th March at 2pm.